Alongside my DSLR I always bring a smartphone for quick capture of memories and fast uploading on Instagram and my Facebook Page. Sometimes smartphone is my only companion during hectic travel time when setting up my DSLR camera eats time and carrying it is a burden to my neck. With the release of Asus Zenfone 2 Laser 5.0 we can now enjoy an improve smartphone with a capabilty of a high-end phone in a budget friendly price. 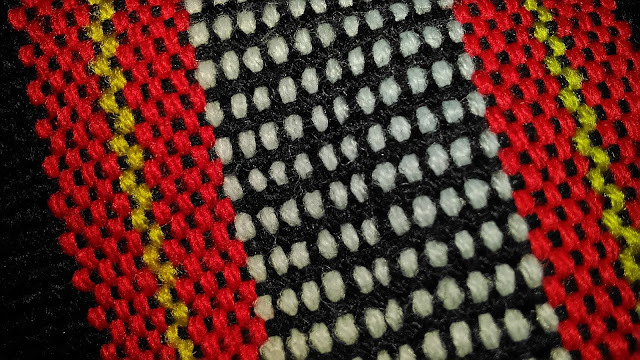 Now let’s go into detail. First thing that you will notice with the new Zenfone 2 Laser is its curve rear cover which makes it easy to grab when placed in the flat space. Its ergonomic design lets the phone fit comfortably in your palm without sacrificing style. Because you have a good grip there will be less probability of dropping the phone. Our life is full of precious moments made up of small things and we thirst for a quick capture of these memories. That is why we need a good camera with automatic focus that will allow us to capture a moment in just a snap. With Zenfone 2 using laser technology, it focuses a certain object in lightning speed. Unbelivable, but its true that it can focus an object in just 0.3 seconds! When I did a photo walk in Marikina, I noticed that Zenfone 2 Laser captures sharply using an automatic setting. This means that I can upload the photo in my blog directly without adjusting or editing it. The Camera uses f/2.0 aperture Toshiba lens which manage to focus the subject in a snap. Aside from that it has various built in setting which you can use for whatever type of moments you want to capture. 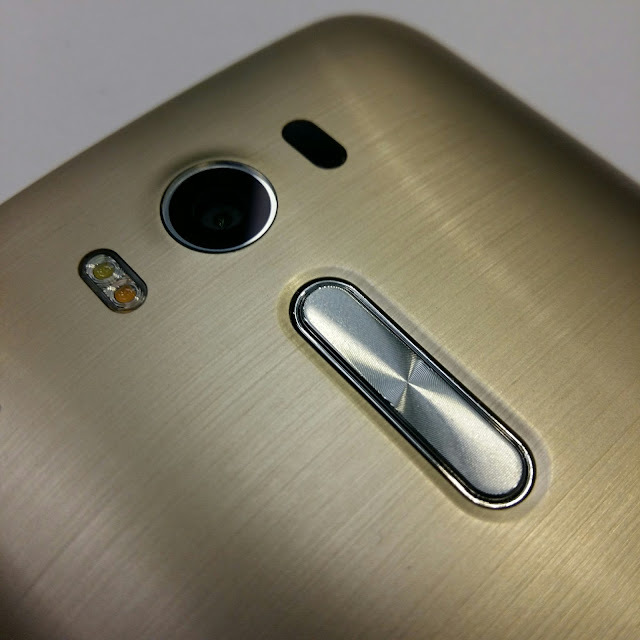 Its rear cover has an exquisite hairline design with a metallic finish. The screen is scratch resistant using Corning Gorilla Glass 4 and still looks elegant and stylish. The curve design allows you to have a good grip while manipulating the apps in your phone. 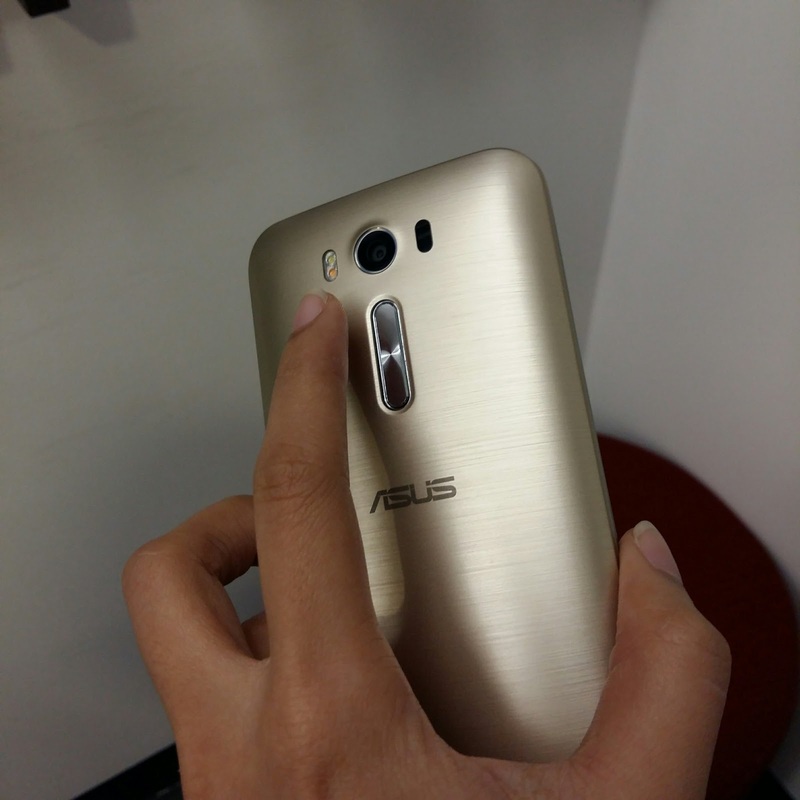 Another notable design engineering with the Asus Zenfone 2 Laser is that the volume key which you can also use for taking a selfie is placed in the rear instead of the usual side keys. This makes it easy to adjust the volume while listening to music and for faster capture when taking a selfie. 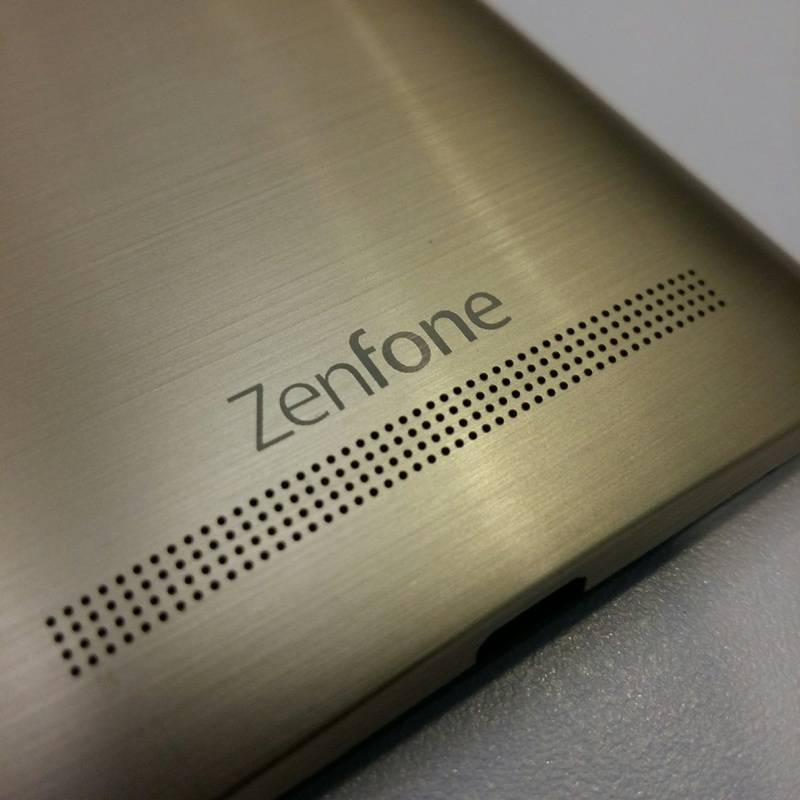 Asus Zenfone 2 Laser uses one of the lastest Andoid versions, the Android Lollipop 5.0.2. What I like with this smartphone is that it has an easy navigation menu. It also has a quick respose time which is very important when you are on the go in traveler or just your daily activities. 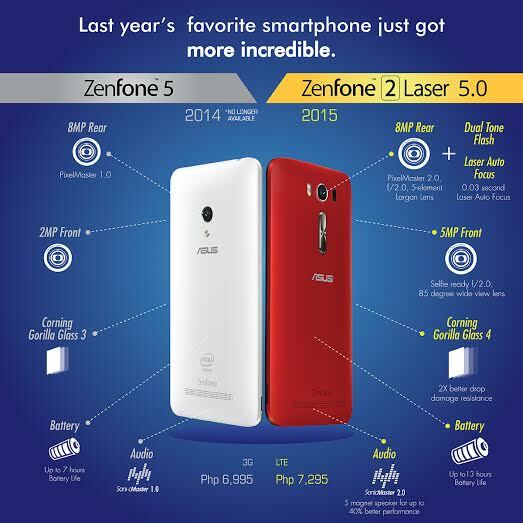 Overall, I would recommend the Asus Zenfone 2 Laser to those who are looking for a new and better smarphone experience. For its price, this phone is a good value for money. You can save your budget for an expensive smartphone, use that in your next travel escapades and buy a Asus Zenfone 2 Laser as a Christmas gift for yourself. 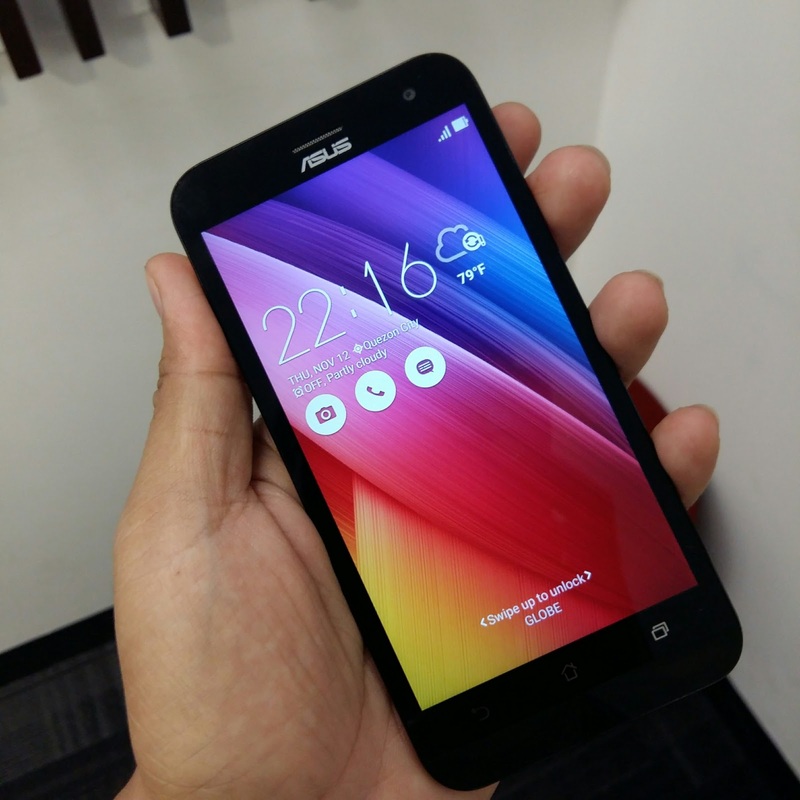 Disclaimer: This is a non-technical/non-professional review of Asus Zenfone 2 Laser 5. All statements in this review is based on my experience using the gadget.